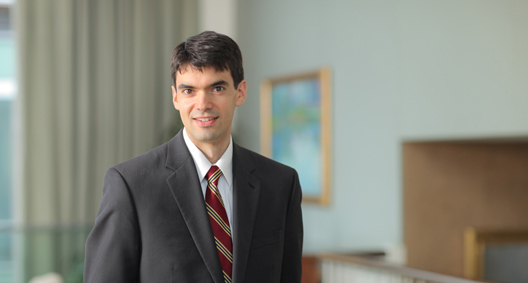 Richard Raile is a member of the litigation team and focuses his practice on appeals and major motions. He frequently plays the principal role in drafting briefs for his clients and in delivering oral argument, including on dispositive motions, bench trials and appeals. He has represented parties and amici curiae at every level of the judiciary, including in merits briefing in the Supreme Court. He also has extensive experience in examining and cross-examining witnesses at trial and in depositions, in preparing briefing on discovery and pre-trial motions, and in preparing litigation strategy. His litigation experience runs the gamut, including everything from commercial, civil rights, constitutional, campaign finance, voting rights, labor and bankruptcy law. Represented Virginia House of Delegates in redistricting litigation under the state’s constitution, winning a complete victory both at trial and on appeal. Delivered oral argument before the Virginia Supreme Court and authored merits and petition-stage briefing. Played a significant role at trial in the same case, including by examining witnesses, arguing dispositive motions and preparing briefing. Represented Virginia legislative agency in Virginia Supreme Court on appeal regarding issues of first impression under the Virginia Constitution’s Speech or Debate Clause and played principal role in drafting opening and reply briefs. The Virginia Supreme Court unanimously adopted the position stated in those briefs and vacated the lower court’s decision holding the legislative agency in contempt of court. Successfully represented winning candidate in state legislative election in federal-court litigation attempting to block or vacate certification of the election results. Briefed, argued and won in temporary-restraining order proceedings litigated to a conclusion within 24 hours of the case filing. Assisted in briefing subsequent emergency motions in the court of appeals, which resulted in a complete victory for the client. Represented the Virginia House of Delegates in redistricting litigation in a case that reached trial, Supreme Court review and a second trial on remand. Played the principal role in drafting trial briefing and jurisdictional briefing before the Supreme Court. The Supreme Court partially adopted the Virginia House’s position and remanded for further proceedings. Played integral role at both trials, including examining and cross examining multiple witnesses before three-judge panels. Represented the Arizona Secretary of State as an appellee before the Supreme Court in litigation concerning the one-person, one-vote principle in state legislative redistricting. Played the principal role in drafting the opening and reply briefing. Representing employer in appellate litigation regarding issues of first impression under 2006 and 2014 amendments to the Employee Retirement Income Security Act. Played principal role in drafting legal briefs before the federal district court and the federal court of appeals. Involved in representing multiple parties and amici in a series of cases arising from the Wisconsin gubernatorial and senatorial recall elections in 2011 and 2012 and related campaign finance and corruption investigations. Responsible for developing legal strategy and drafting briefs on dispositive and non-dispositive motions and on appeal in state and federal court, often on an expedited basis. The Wisconsin Supreme Court adopted the legal positions advanced in these briefs and enjoined the investigations. Assisted in the formulation and drafting of a successful petition for certiorari before the United States Supreme Court on the validity of cy pres class-action settlements. Assisted in the formulation and drafting of multiple amicus briefs and certiorari petitions in the Supreme Court on behalf of various parties, including in cases involving the scrutiny of racial classification under the Fourteenth Amendment, bankruptcy standing, class action settlements, the Appointments Clause, voting rights, and Section 1983 litigation and immunity defenses. Assisted in formulating and drafting a briefing for the court after a bench trial concerning a complex real estate deal and related breach-of-contract claims. Performed work on landlord/tenant matters in conjunction with the District of Columbia Bar Association Pro Bono Project.